This project re-creates a video game controller using a flex sensor, and “jump” sensor, in this case a tilt sensor. An Arduino processes these inputs and establishes LEFT, RIGHT, and JUMP command signals into a Raspberry Pi-based video game emulator. The commands are send through the GPIO pins on the Raspberry Pi, leveraging a ‘Virtual Keyboard’ project. The keyboard-like signals can control the video game emulation system – RetroPi. 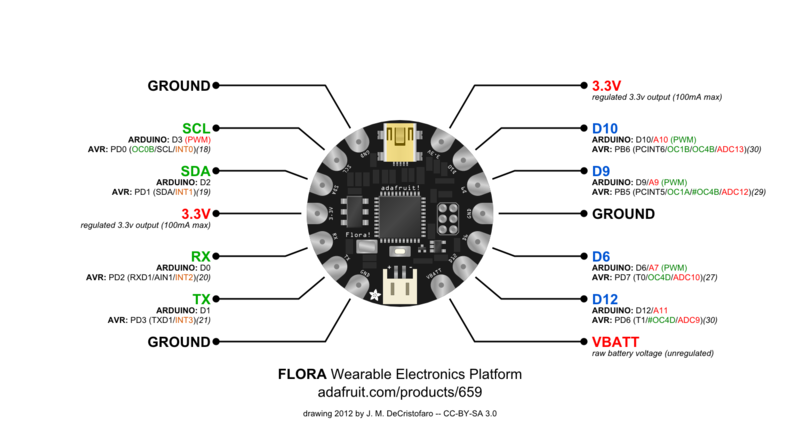 If you’ve never worked with a Flora before, then it needs to be set up as an available board in your Arduino IDE. Note that the resistor used must be calibrated in the code. In our case we used 3.3K Ohm. More on that here and here. A good game video to test this on is Super Star Wars: Return of the Jedi Video games are Emulated on a Raspberry Pi, using the Retro Pi project. You will need to have the ROM installed before hand (it should have one of these file extensions). Once you have your video game running, test that the GPIO pins are acting as controls. A quick way to do this is to take a wire and ‘ground’ the pins that are the controls. 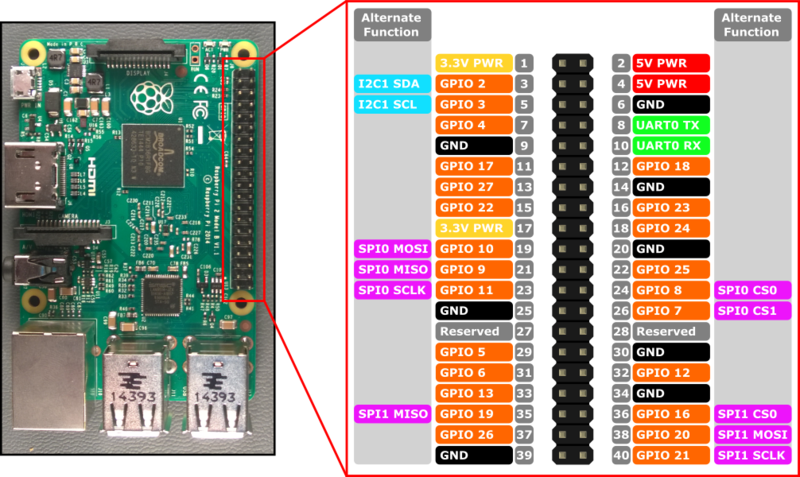 That means connect ground pin of the Raspberry Pi to the relevant GPIO pin. Each person’s hand is shaped differently. Our controls are set up to be controlled by one finger bending, and a wrist jerk motion to trigger the jump. In our design, you wore a glove and put your hand out like you where going to shake hands. When the finger was ‘relaxed’ it has a default bend to it, may 15 degrees from straight. This amount of bend should be straight, having a straight finger would trigger RIGHT signals, and bending the finger left (60-90 degrees) would trigger LEFT signals – assuming a right-handed glove set-up. We took a standard cloth glove, and cut a few slits along the finger. We lightly threaded the flex sensor through the slits, and secured it to the glove at the bottom. This allowed the sensor to slide a bit as the finger bends. We attached the tilt sensor to the glove as well, however we put it too close to the ‘control finger’. What happened was people would bend the finger quickly, and this would accidentally trigger the jump sensor, which should be triggered by a more violent wrist jerking motion. Putting the tilt sensor further from the knuckle that gets bent/where the cloth deforms a lot, should help. Use Arduino’s Serial Plotter and Serial Monitor to find the Far Right flex sensor readings, and Far Left flex sensor readings, as were as where the middle is – for your reference. Good luck, and may the force be with you (electric or midi-chlorian, your pick)!